A Facebook friend posted a pic last week of a local Breadco with promotional signage glued to every table. As many commenters pointed out, it did look a bit tacky. That afternoon, I went to my neighborhood Breadco and learned the reason they did it. 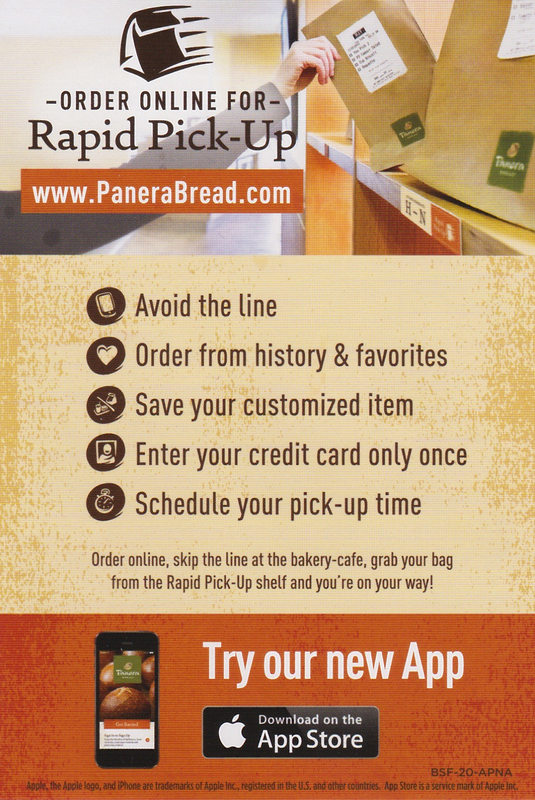 St. Louis Bread Company (AKA Panera) really wants you to know about their new mobile ordering app. They have signage all over the store and, in case you don’t get the message, on your table as well. “Mobile is the biggest shift in QSR [quick serve restaurants] since the drive thru,” says Taco Bell’s Jeff Jenkins. He was quoted in an article last week from Nation’s Restaurant News. Click HERE to read the article which details the 2014 mobile ordering plans of many fast food chains. Breadco is testing mobile ordering in St. Louis as well as a few other markets. The mobile app is, so far, only available for iPhone. You can also order from your computer at THIS site. The app lets you order and pay for your soup, salad, sandwich, etc., then waltz into your Breadco, grab your order from the “Rapid Pick-Up Shelf” and split. The biggest advantage, I think, is avoiding long lines. I’ve seen lines out the door of the Breadco in my neighborhood in the early morning and at lunchtime. Also, this method should help insure more accurate fulfillment of your order, especially if you have any non-standard requests. My biggest concern would be ordering a bowl of soup or a panini early in the morning for pickup at 12:15 and have it be lukewarm because it was packaged for pickup at 11:45. If you are a Breadco customer, download the app to your iPhone (Android coming soon, I’m sure) and give it a shot. There may be glitches as they work to make the process work smoothly. Be understanding. The line between brilliant creativity and goofy gimmickry will become blurrier. 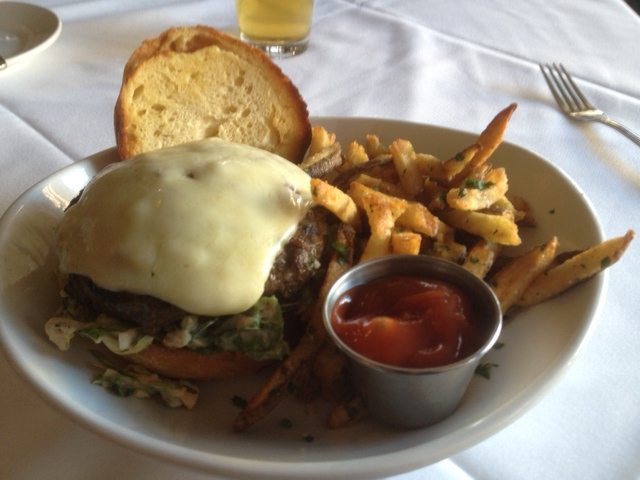 Portion sizes will decrease slightly, leaving more room for beverages & desserts. Chefs will feature more main dishes starring fresh veggies because they look good and because vegetables are cheaper than protein foods. Food truck operators will get tons more private catering gigs. Because they have different food items and the trucks add color and charm. Younger St. Louis palates will embrace noticeably spicier dishes that their parents could never handle. Salted caramel desserts will replace or accompany some of the old standbys. We’ve seen some of these things happen already, to be sure. But we may notice them more prominently in 2013. But, then again, I could be wrong.